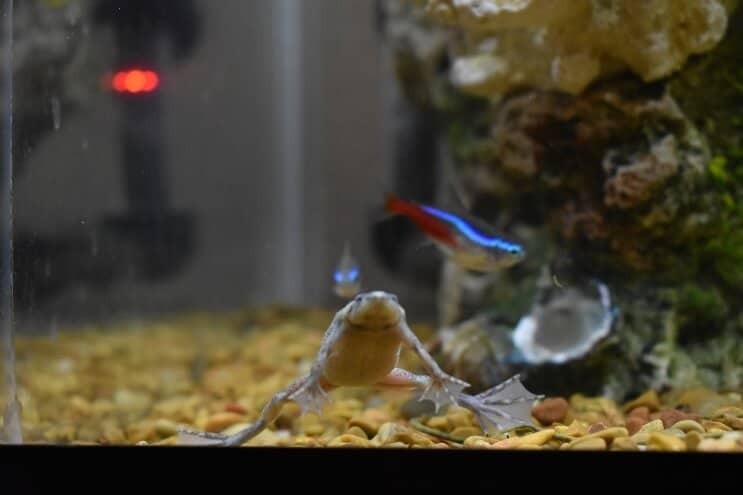 If you want to add something new and unique to your aquarium, how about introducing a frog to your setup? 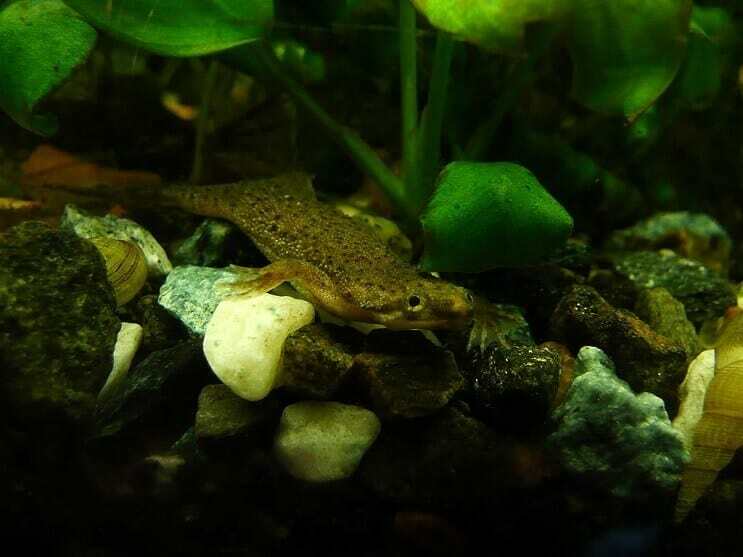 African Dwarf Frogs are small peaceful frogs perfect for a community aquarium. As nocturnal animals, you will only find them during the moonlit hours where you can witness some very peculiar behaviors from them. They only have one big flaw. Your frog will not turn into a prince if kissed – don’t try it! 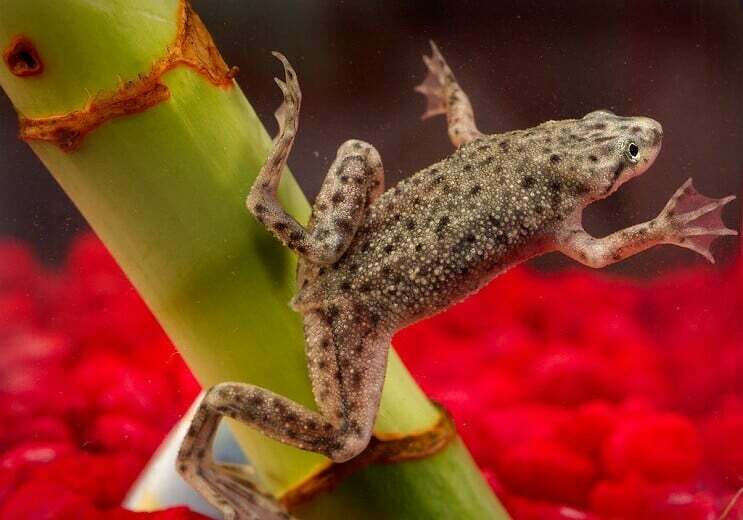 In this article you will learn everything you need to know to successfully care for African Dwarf Frogs. Are They Compatible With Bettas? African Dwarf Frogs belong to the family Pipidae, in the genus Hymenochirus. In total there are 4 species which have the common name African Dwarf Frog: Hymenochirus boettgeri, Hymenochirus boulengeri, Hymenochirus curtipes and Hymenochirus feae. All four frogs look very similar and don’t have many distinguishing features; the main difference between these frogs is their native locations. Hymenochirus boettgeri is found in the Central African Republic, the Democratic Republic of the Congo, Nigeria, Gabon, Equatorial Guinea and Cameroon. Hymenochirus boulengeri is endemic to the North east of the Democratic Republic of the Congo. Hymenochirus curtipes is found in the Republic of the Congo. Finally Hymenochirus feae is only endemic to Gabon. They are all small, fully aquatic amphibians that reach a maximum size of 3 inches and only weigh a few ounces each. It is very common for them to be mistaken for the African Clawed Frog. They look very similar, but the Clawed Frog is bigger and more aggressive. Keep this in mind when purchasing your first frog, and always do your own research to know what you’re buying rather than relying on labels which could be wrong. African Dwarf Frogs are very entertaining additions to your tank. They are nocturnal animals so will be most active when the sun goes down. As a fully aquatic frog, they will spend most of their time in the water swimming, occasionally rising to the surface to breathe. These frogs cannot spend a lot of time out of the water because they will dehydrate and die after only 15-20 minutes. They don’t have gills like fish, instead they have fully developed lungs. They will swim very fast to the surface for air, and then dart straight back down a second later. Another funny and peculiar behavior which is very common with these frogs is known as the ‘zen position’. You might witness your frogs floating at the surface of the water without moving, with their arms and legs stretched out. This is completely normal, even though they sometimes look dead! You might also hear them singing. An adult male attracts a female by making a quiet buzzing sound. African Dwarf Frogs are olive, to brownish green frogs. Even though they all tend to vary in color, they all have distinctive black spots on their bodies. These frogs are small amphibians, growing no more than 3 inches and weighing only few ounces each. Frogs in the Pipidae family have common characteristics, such as no tongues and no teeth. 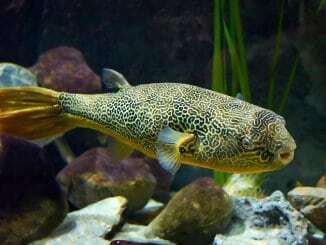 This means that they have webbed feet, which are used to help them move around, but also to literally feed themselves. They also have a buccal cavity which can draw in water, which lets them eat by sucking water into their mouth. These frogs lack ears, so how are they aware of their surroundings? They have special sensory lateral lines along their body which sense movement and vibrations. Males and females show slight differences. Females are generally a bit bigger with a more distinct genital region, known as the ovipositor. Males on the other hand, have a small visible gland behind each front leg. The exact function of this gland is still not well understood, however the common belief is that it has something to do with mating. The name is a bit of a give-away, so it’s no surprise to learn that African Dwarf Frogs come from Africa! They are found in tropical forests, within the freshwaters of Nigeria, Cameroon, Gabon, all the way to the Congo River Basin. Here the environment is rather humid and warm. Light is really important; they are nocturnal animals and are used to a 10-12 hour cycle of light and darkness. These frogs need water or a very humid environment to survive. As with all the fish, it is best to set up the tank, and create the right environment before purchasing the frog. Make sure the environment above the water is high in humidity – this way if the frog leaps out of the water they won’t get dehydrated. As already mentioned, light is quite important. These frogs are used to regular periods of light and dark, so set up your lights on a timer to ensure the lights are on a 10-12 hour cycle. They don’t need fancy lighting like other reptiles or amphibians; you can just purchase a normal LED aquarium light. For substrate you can use either sand or gravel. If you are purchasing gravel, make sure that the grains are large enough for the frog to not swallow them. You shouldn’t have a strong water movement. These frogs don’t like strong water flows as occasionally they like to be motionless in the water. Even though frogs breathe normal air, you might want to consider buying an air pump or air stone to keep the water quality optimal, and bad anaerobic bacteria away from your tank. However, they are quite sensitive to noise and vibrations so if you include a pump, you can isolate it from the tank glass to avoid this problem. For these reasons you might also want to consider adding a layer of insulation, such as Styrofoam or a piece of carpet, between the tank and the stand. These Frogs also appreciate live plant. You can either put floating plants in, such as Hornwort or other rooted plants such as Java Fern. If you choose rooted plants, make sure you cover the roots of the plants as your frog might dig them out. Finally, you will need to add plenty of hiding spaces around the tank, these animals are naturally preyed upon so they will feel safer with places to hide away. You can create hiding spaces using plants, rocks and pieces of driftwood. Most people start with a 10 gallon tank, which is big enough to host a small community of 4-5 frogs. You can also use a 20 gallon tank but, make sure the water is not too deep so your frogs can easily swim up for air. You should allow two gallons of water per frog. They are perfect for communal tropical freshwater tanks. Make sure you keep your frogs and fish well fed and the water conditions ideal, and you shouldn’t have any problems. These frogs are peaceful creatures and should be placed in similar communities. 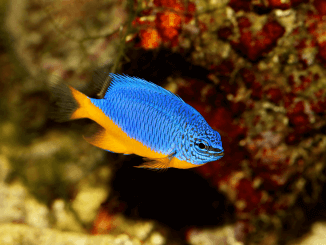 Ideal tank mates include small peaceful fish such as livebearers (Guppies, Mollies and Platies), as well as Corydoras, Danios, schooling Tetras such as Neon Tetra, the Serpae Tetra and the Rummy Nose Tetra. Also, if you are looking for other companions, the Cherry, Ghost and the Bamboo shrimp, along with species of snails, can be a good addition too. It is possible that snails and shrimps may be viewed as food though, so add them with caution. As long as the fish are peaceful, and not small enough to fit in the frog’s mouth, they should make good tank companions. Large aggressive fish such as Cichlids are to be avoided. They will stress the frogs out and likely prey on them. The answer is yes, you can keep these two together with caution. It really comes down to the individual temperament of your Betta. Some Bettas are really aggressive whereas others will not bother a frog. If the Betta is aggressive, it could bully your frog and eventually kill it, so if you decide to add both to a tank, watch them carefully to make sure they are compatible. These frogs are best kept in a small community. They are quite social and best kept in small groups of at least 2 or 3 per tank. Even though African Dwarf Frogs are considered omnivores, they prefer a meaty diet. Try to keep a varied diet to make sure they receive all the nutrients needed for a healthy frog. There are plenty of pre-prepared foods available which should form the basis of their diet. These are usually pellet based. You can also give your frog a variety of treats a few times a week, including fish fry, mosquito larvae, bloodworms, brine shrimps, krill and earthworms. As an extra tasty treat, feed them beef heart but only give this once a month as it is very fatty. It’s down to your personal preference as to whether you feed them live or frozen food, most of the above foods can be found either frozen or live. While they’re young, feed your frogs once a day but as they mature, you can fed them less. As an adult, your frogs need to be fed once every two days. You should feed them small size bites and only feed them what they can easily eat in 15 minutes. Do not over feed them as this can lead to obesity and poor water quality which leads to stressed fish. Try to not leave uneaten food in the tank, and remove whatever they haven’t eaten after 20 minutes. If your frog is not eating well and being particularly fussy, you might need to use tweezers to feed them directly. Try to squeeze the food almost on their faces so they can see it and eat it. These frogs are quite sensitive and delicate animals. As an amphibian, your frogs might also be a danger to you. They are not venomous, but these amphibians can carry a lot of bacteria, usually on their on their skin or in their feces. Salmonella is the most common bacteria found which is quite problematic for humans. Don’t touch your frog, use an aquarium net instead. If you need to handle them, use gloves and always wash your hands before and after handling. 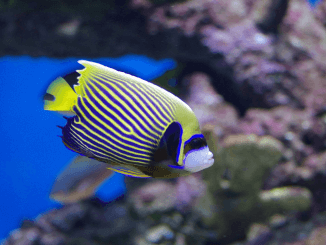 As they are rather sensitive, avoiding placing anything sharp such as gravel or decorations in the tank. Also try to protect in and outlets so the frog cannot get stuck. One of the most common diseases is known as dropsy. This condition is usually deadly and is the results of a mix of different conditions. Your frog will start to bloat showing sign of distress. Unfortunately, this can be caused by a lot of different things, from parasites to bacterial infections. Depending on the cause, sometimes it’s treatable and sometimes it’s contagious. If you suspect dropsy check with a vet that specializes in amphibians. Other problems that you might encounter are fungal or bacterial infections. Fungal infections appear as fuzzy patches on the frogs’ skin. A particular nasty fungus is known as Chytridiomycosis. This is contagious and the infected frog should be isolated. Bacterial infections can also be problematic. Red eyes or skin, loss of appetite, lethargy are all signs of distress. Usually antibiotics can work their magic. Always double check if your antibiotics are amphibians safe. If you keep optimal water quality with a good feeding schedule and the right environment, your frogs will not have many problems. 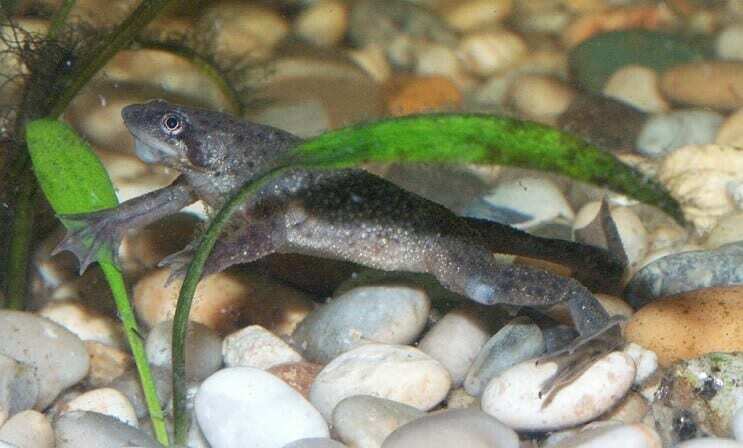 African Dwarf Frogs have quite a short life span, living up to 5 years. Now you can easily find them online and in pet shops. You can find them in different sizes and colors from about $1.50-$5.00. They are fully aquatic amphibians spending most of their time underwater. They have to come to the surface to breath. Frogs are social animals and enjoy each other’s company. They can carry quite nasty diseases so always make sure to wash your hands and to avoid contamination. You don’t need to feed your frogs every day. They are not great swimmers, hence the need to keep the water flow low. You might witness funny behaviors such as the ‘zen position’. These frogs are peaceful small amphibians. They are very common due to them being so easy to keep. Try to provide the best environment possible (with the right tank, water parameters, substrate) and you will succeed at keeping your frogs nice and healthy. Feeding is not a big challenge; you don’t even have to do it every day, and they eat pretty much the same food your fish eat. So is this frog the next perfect addition to you tank?